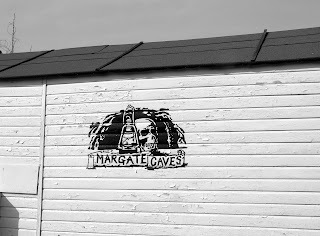 “Gesture Politics,“ wrote the Thanet Gazette’s Thomas Brown on Twitter last night, after listening to Cllr Iris Johnston making a valiant if not rambling effort to avoid answering my question on the Margate Caves and Ramsgate Tunnels subsidy. This, despite repeated efforts on my part to draw her away from her favourite topic, the socio-political history of Thanet in the eighteen years since she became a member. Reading my last weblog entry, a number of people are clearly quite vexed that I presume to ask quite an important question. One that surrounds accountability in public finance. You see, I’ve an unorthodox view, which argues that if you give people public money, then it’s only right that in return, you are able in some tangible way, to measure its benefits to the local taxpayer. Odd isn’t it? Cllr Johnston was swift to correct my figure of £20,000 which came from my own misunderstanding of the announcement of support, made at the previous Council meeting. In fact, the figure is now a more generous £30,000. The Cabinet Member for Communities, that’s Iris Johnston of course, then took up her entire period of allocated time, ‘Not’ answering the question but simply scoring as many political points as she could against the stopwatch. We heard for example, that because the Margate Big Event had been cancelled and that the Council were giving us a Manston Airshow instead, the money saved there was being diverted to the two underground projects. Readers may recall, through looking back on this weblog that Cllr Johnston, in opposition was extremely active in the 'Save the Margate Caves' campaign, condemining the Council's decision not to spend money restoring the underground tunnels and giving TV interviews to the BBC. Never letting the truth stand in the way of a good story, the airshow argument is, to use a technical expression, ‘Total Rubbish” as in fact the Council were originally intransigent, arguably obstructive and have absolutely nothing to do with the concept or organisation of that event beyond a lame political attempt to take the credit. After Cllr Johnston had finally sat down, I tried a second time, drawing her attention to the question again in a last ditch and frustrated effort to seek enlightenment. Instead, I received another five minutes of frantic political wittering, as she delivered one of her characteristic and lengthy monologues on her many achievements since the day the Margate Caves was first discovered, smugly stating that she had received “complaints” about this weblog. So the answer is, I’m afraid, that she doesn't know or indeed is not prepared to answer a perfectly legitimate question from a member of the Shadow Cabinet sitting opposite. The Gazette’s Thomas Brown, twittered his own guess of hundred of thousands of pounds but as Twitter is likely a black art to Cllr Johnston, I doubt that she has actually read it. So let me quickly recap on my position, which is repeated from the last weblog entry. I would welcome both the Margate Caves and the Ramsgate Tunnels being bought back into use as a local tourist attraction and started the ball rolling with my colleague Cllr Alasdair Bruce, by lending support when the Conservatives were in administration, asking the Margate Caves group for a proper business plan and supporting Cllr David Green’s request for the tunnels entrance to be opened and explored as part of a feasibility study. The Council has no money and every small commitment represents a real budgetary struggle given its many local priorities, so £30,000 represents quite a large sum. I’m a ward councillor here in Westgate and having turned the former putting green concession back into a public park; even £10,000 might well have turned the small concession hut into an immediate, revenue generating opportunity for the Council, given the approaches it’s received from interested parties. As instead, the Council has dipped into its almost empty pockets and diverted £30,000 towards the caves and the tunnels groups, I think it’s only right that the local taxpayer knows if this money is a spin of the roulette wheel or an investment with a visible return. Furthermore, if Cllr Johnston has absolutely no idea of the costs of bringing both projects into public use or the ongoing costs of maintaining these assets and the Councils own liabilities, then I find that deeply worrying and I have to question her motives or indeed her judgement, as she appears resolute or unprepared to answer questions on finance around either project in Council. NB. I learned yesterday evening that the paintings in the Margate caves (shown above) were actually done in the 1960s by the same artist who did much of the amusement park work in Dreamland. Simon, not wishing to divert from this subject but curious, would these ventures need to pay business rates on the space being occupied? Thanks. It's an excellent question to which I haven't an answer. My first reaction might be "Yes" most likely as a business is a business underground or above. I will ask next time I'm in front of the right person. Given your 'unorthodox view', which argues that if you give people public money then it’s only right that in return you are able in some tangible way to measure its benefits to the local taxpayer - perhaps you could look into what benefit will come from £100,000 of public money (via KCC/Visit Kent) being spent to 'market' KLM flights. That's marketing a foreign airline operating out of a foreign-owned airport, exporting tourists to a foreign destination. KCC has its own agenda which has a strong economic development imperative for the region. You would have to ask them not me. I'm only a ward councillor in Westgate! Cop out. It's exactly the same. You'd want to know what you get for your, sorry, our public funds. Not at all as the criteria are very different in both cases. The airport for example is an operating commercial entity that brings employment and measurable traffic to the area and has a business plan. This is not true of the two examples we are discussing locally. It's certainly an operating commercial entity operating at a £4million/year loss. Regional airports are shown to export significantly more passengers than attract visitors, therefore encouraging a net loss of income. Their employment opportunities are wildly over optimistic and their master plan is way off target by any measurement yet there seems to be an endless supply of public funding to support its activities. Meanwhile any grass root opportunities offering sustainable growth are sidelined. Bizaar. Simon, It’s not so much the question as the apparent motive behind asking it that has vexed people. The Ramsgate Tunnels has already brought a £53,000 grant to the area and to my knowledge has never planned on or requested council funding. 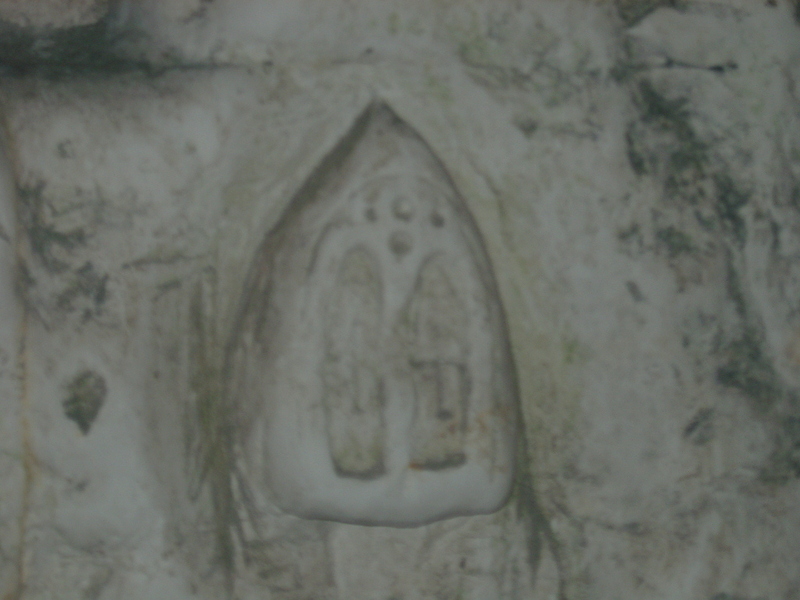 The recent financial gestures towards the Margate Caves and Ramsgate Tunnels are presumably given in support of the current administration’s policies. Maybe it is this that has aroused your concerns rather than a genuine attempt to safeguard the public purse. So here we go again, petty party politics casting a dark cloud over valiant efforts to attract visitors and income to the area. If you are against the projects then say so; I am sure you will find some support somewhere. If not, please stop using them as a political football and undermining the efforts of those who care about the community. Phil, with respect, I don't think you are grasping my argument or my right to ask the question in regard to the expenditure of public money. I'm delighted that the Ramsgate tunnels has received a £53,000 grant but may I ask who owns both the Margate Caves and the Ramsgate Tunnels? You know the answer as well as I do. So the question framed in Council last night is very clear and surrounds both the Council's future financial exposure and indeed, whether it is appropriate for the Council to be donating money to such projects as risk capital? Indeed, the Gazette's Tom Brown asked whether it might make more sense to identify which project had the greatest chance of success, given the work and support to date and then concentrate any financial effort on one, rather than both but with agreed metrics to account for the expenditure. Simon, I fully grasp what you’re saying and whilst I fully respect your right to ask the question, it is the reasons behind it that I’m struggling with. The money has been set aside to assist local projects in furthering their objectives of contributing to the local tourism market, ultimately to the benefit of the local area. This is a one off grant and is hardly risk capital. To the best of my knowledge there is no further funding being sought from or being made available by TDC. So what is all this talk about concentrating financial effort, financial exposure and risk capital? Why do you insist on casting a cloud over these projects? Any financial risks will be borne by whichever funding body is approached; who I’m sure will carry out a full assessment of each project based on their individual merits. With all due respect, I suggest they will be better qualified to determine the viability of the individual projects than a local council of any political persuasion. 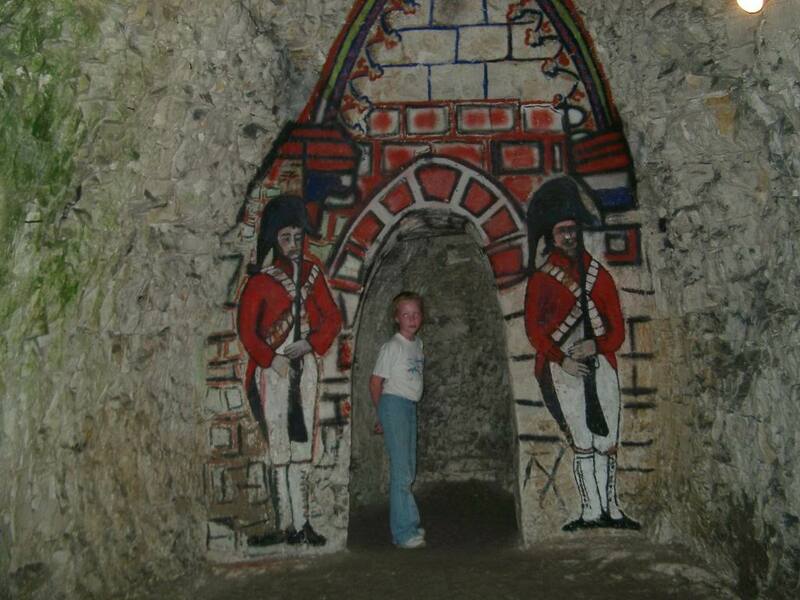 You have every right to ask the question you did concern the two TDC "assets", the Ramsgate Tunnels and Margate Caves. I know very little about the Caves and so can only comment on the Tunnels. The tunnels have been derelict since the '60s and cost the Council small ammounts each year to secure them. There is a possibility of opening part of the complex including the old railway tunnel, to the public and there is a community group dedicated to exploring that, which I chair. Ramsgate Town Council bid for and were succesful in receiving a £53K Jubilee Millions grant to appraise the feasability of the project. This is now approaching completion and the required safety studies ect have been done and business case almost complete. The next stage is to open the tunnels to test how much visitor interest there is. There is one major problem in this and that is that a previous TDC operation to clear asbestos from the Tunnel was only partly done, leaving asbestos debris behind. The £20k "grant" is in fact designed to complete this operation on what is a TDC owned venue and put the tunnels in a state where the public can enter in a supervised way. TDC have a detailed account of how the money would be spent. There would be no on going liability to TDC. Ramsgate Tunnels Group are non profit making and so would attract business rate relief, should they ever reach that stage. I'm afraid we will have to disagree on this. You write: "The money has been set aside to assist local projects in furthering their objectives of contributing to the local tourism market, ultimately to the benefit of the local area"
While I say there is no money in Thanet to set aside for projects without firm evidence that the delivery of public funds might lead to a high probability of a successful outcome. This leads me back to my question in Council on Thursday night in respect of what has changed between administrations, liabilities, costs and officer's advice on the subject? Previously, the advice was to be supportive of private investment but not to spend any further Council money on either, given the level of exposure. I'm sorry but if it were me making the decision with your money, it would be based on the business plan, the level of prospective interest shown by outside funding and a proper assessment of the downstream costs and liabilities to the council if one or either were opened. i.e. 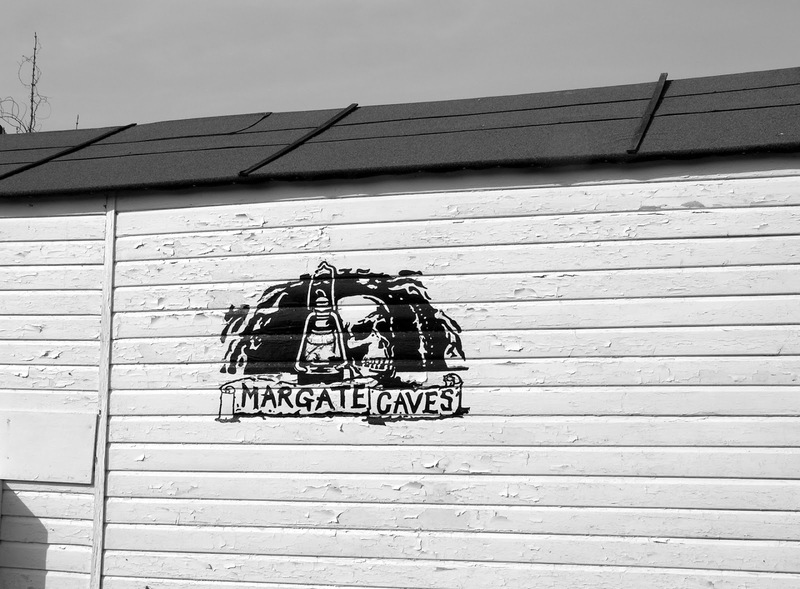 would the project be able to stand on its feet as a commercial entity and a lessee, which for example, the Margate caves couldn't. Okay, so there are areas of grey between black and white but generally the Labour party are happy to spend our money without caring for the consequences while the Conservatives at least look as if they are spending/cutting/saving wisely. It seems that while you are being criticised for asking the question nobody is criticising Cllr. Johnston for failing to give a reasonable answer. Either she has not got a grasp of her brief or as you say, she is playing politics with our money. In that case may I wish you every good fortune with the Ramsgate Tunnels project. I take your point on business rates relief but I do still reserve the right to be concerned over the potential for on-going costs and liabilities if the volume of tourism required to make the attraction viable doesn't take place. It's the other many attractions that spring to mind that we have lost in Thanet because visitor numbers were insufficient to make them viable in a changing market. Tourists need indoor attractions for rainy days. If this tranche of money, which Cllr Green has explained very clearly, is the last public money to be spent on the Tunnels then I would call it a small price to pay. If you really want to moan about money wastage then I refer you to China Gateway and the other Council enterprises from that era. The recently returned duo in local blogland have plenty of posts to refer to if you've forgotten the details. As indeed has Michael. Fortunately I'm writing about the present, when money is in very short supply and not second-guessing the decisions of the past. My understanding of the new Business Rates system after April is that the Council have to fully fund any discretionary relief over and above the average yearly totals they have paid out during the last few years. This means if all the current awards stay the same the Council will have to foot the bill for all the rate relief for the tunnels and other organisations asking for this type of help. No doubt someone will be along to correct me if they have a different understanding of it but this is a pretty big change from the current system. You mentioned Louise Oldfield, who, in my humble opinion, has done more to stop any growth in Margate old town than any one else...perhaps she should concentrate on bringing margate down, then we would all see a better area!